But it has a bunch of other stuff. First, from the "Homebrew Design" part of the Internet comes a new application, Labeley. 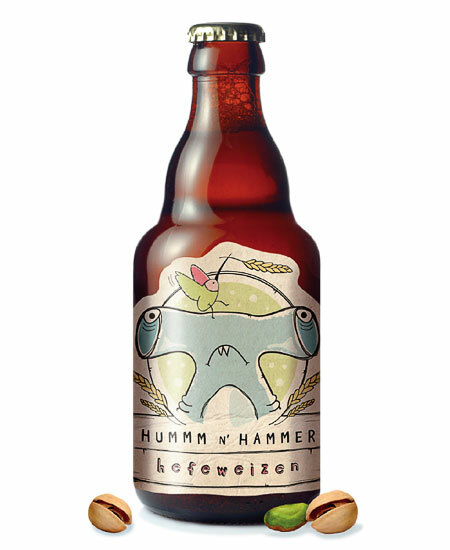 It's a very cool, user-friendly program for designing homebrew labels. Ana Brady, who contacted me about it, said that the design team behind it is international, with one person in Canada and a couple in Europe. It's free and was a labor of love by some homebrewers, and definitely worth taking a look at if you're in the hobby. Nick at A Tale of Two Brewers did a nice review, where as a designer he found it a bit restrictive but ultimately a promising program. Next, I got a note from Karen at Victory about the Dark Intrigue release party scheduled for Nov. 23, which they are calling "Dark Wednesday." There are some interesting (intriguing? groan.) things about this. First, the announcement comes one day after the release party for The Bruery's Black Tuesday sold out in one hour and bottles began appearing on eBay immediately for as much as $100, and after the massive hype that accompanied the Founders Canadian Breakfast Stout release. As these hyped releases gain more and more traction (and garner the breweries more and more funds and attention), they have become also more of a bone of contention with some, who find the prospect of lining up in the wee hours to spend $200 on a case of beer a bit of a "circus," even if they appreciate it. Still, as many people as were annoyed by not getting tickets to this year's Dark Lord Day kefuffle at 3Floyds, no one foresees demand dropping next year. So it's unsurprising that Victory has built up an answer to those national release parties that we see every year (Surly Darkness, Black Tuesday, Dark Lord, etc.). What's surprising is that this is the last year they'll be doing it for a while. Karen said it's basically that the barrels take up a lot of room and it's just not economical, so it's at least going away for a while. One has to wonder if there's a vacancy in this part of the state/country for a much-hyped annual release of some soul-crushingly potent quad-imperial barrel-aged dark nonsense? Via the Ladies of Craft Beer, there's this fantastic piece in Slate about women in brewing, featuring my local beer matriarch, Carol Stoudt. There's a blog about Brewery law and I didn't know it, which is stunning. I've subscribed with Google Reader, which I hope will still be here next week. They have a writeup of Jester King's recent attempt to change the quite stupid (legal term) Texas labeling laws. Jack Curtin has a great quote from Jenn Litz of Beer Business Daily. Labatt just had a redesign by Blackwell Design. Deschutes has two brewmasters. I guess this works in brewing? Did Johnny Cash's estate chase away the DFH 75 minute label? Looks like Magic Hat and Pyramid may join NAB? Very cute style, somewhere between children's book and the juvenile style we see in lots of natural-based marketing these days. 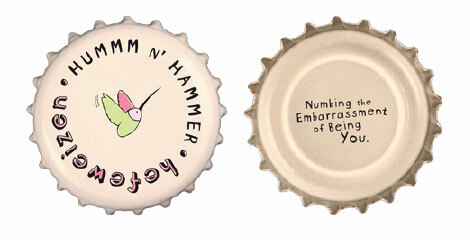 Shea even even came up with bottle caps that, if they went into production, would be a great find for some other beer packaging bloggers. Lots of pastels, soft hand-drawn shapes, and of course the adorable title characters. Now, some will say that this demeans the very sincere suffering of the 99% of America who is put upon by the wealthy 1% etc. etc. Those people are entitled to their opinion. 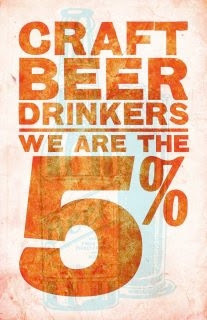 But most craft beer drinkers are likely to be on the side of Occupiers, so any outrage would be ill-spent. From a design and branding standard, though, I love it. The hashtag #occupythepub and the surrounding rhetoric is a really cool way to take a topical phrase and convert it into a fun type of marketing. Craft beer people are quite likely to empathize with the protesters, as we usually feel put upon by the 95% of the market that is the macrobrews. So there's some solidarity, which is nice for a brand, and some humor, which is nice for a beer brand, and I love the simplicity of the design. Some good varying of font sizes, a nice watermark of a stock retro beer bottle, a distress effect, and bam! I'd buy this t-shirt. If anyone knows who made this or from whence it came, Please chime in in the comments. Garrett Oliver: The Adult in the Room?